Over the last 17 years, JD Buckley has successfully introduced new user centered research methods and techniques to a variety of entertainment, automotive, medical, enterprise and augmented reality companies. Highlights includes companies such as Yahoo!, Disney, Idealab, DirecTV, Kelley Blue Book, Kaiser Permanente and Daqri. JD is a passionate advocate of collaborative cross-functional design, multi-method research and data triangulation to inspire and inform innovative solutions. 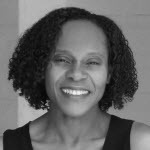 She is currently Principal, UX Strategy & Research at ADP’s Pasadena Innovation Center and an Adjunct Instructor at Art Center College of Design.